Sole Desire has been a Newport landmark for 30 years making it the oldest shoe store on the island. We offer a huge selection of footwear at amazing prices along with great customer service. 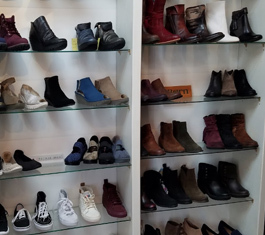 We carry men’s, women’s and kid’s footwear and accessories. Brands include, but are not limited to: Sperry, Ugg, Dansko, Born, Frye, Merrell, Keen, Rainbow, Reef, Olukai, Steve Madden, Teva, Clark’s, Bernie Mev, Sam Edelman, Jack Rogers, Converse, Keds, Blundstone, Doc Martens, and many more.